With a text by Manfred Wiemer: Mai 1984. Ein Heimatbilderbogen. With Seiichi Furuya and Manfred Wiemer. late GDR in his photographs. Furuya came to Dresden as an interpreter for a Japanese construction company. His photographs are private – a young family in its intimacy, their deep fears and happy moments. In the pictures, the societal, the socialistic everyday world seems rather incidental. 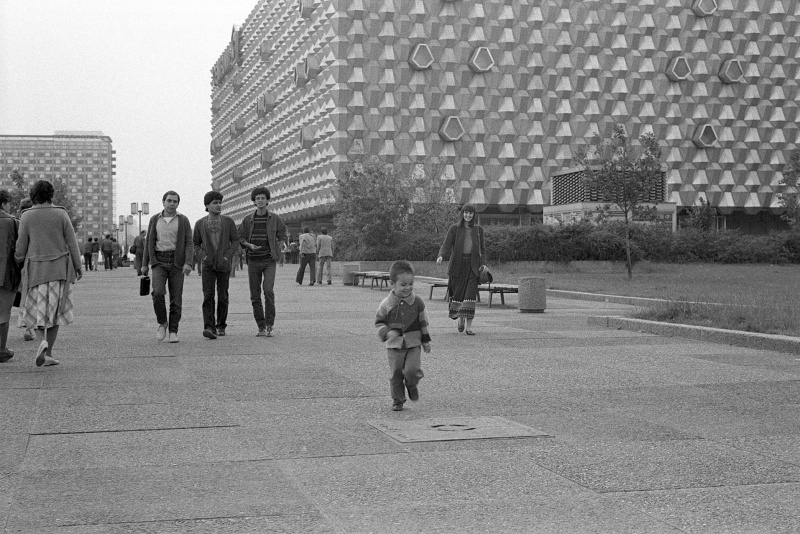 Furuya’s external perspective, the gaze of a foreigner, did not have an analog in the artistic photography of the GDR. culture scene during the first wave of emigration in May, 1984. With support of the the Cultural Foundation of the free state of Saxony and the Bundeskanzleramt Österreich.